Tolworth Hurdle Sandown GB Grade 1 4j. u.ä. 3300m / 2m½f 06.01. Clarence House Chase Ascot GB Grade 1 5j. u.ä. 3400m / 2m1f 20.01. Cleeve Hurdle Cheltenham GB Grade 2 5j. u.ä. 4800m / 3m 27.01. JCB Triumph Hurdle Trial (Juvenile Hurdle) Cheltenham GB Grade 2 4j. 3400m / 2m1f 27.01. Cotswold Chase Cheltenham GB Grade 2 5j. u.ä. 5100m / 3m1½f 27.01. Neptune Investment Management Novices' Hurdle - Trial Cheltenham GB Grade 2 4j. u.ä. 4100m / 2m4½f 27.01. Scilly Isles Novices Chase Sandown GB Grade 1 5j. u.ä. 4100m / 2m4½f 03.02. BHP Insurance Irish Champion Hurdle Leopardstown IRE Grade 1 4j. u.ä. 3200m / 2m 03.02. Arkle Perpetual Challenge Cup Leopardstown IRE Grade 1 5j. u.ä. 3400m / 2m1f 03.02. Nathaniel Lacy & Partners Solicitors Novice Hurdle Leopardstown IRE Grade 1 5j. u.ä. 4000m / 2m4f 03.02. Deloitte Novice Hurdle Leopardstown IRE Grade 1 5j. u.ä. 3600m / 2m2f 04.02. Flogas Novice Chase Leopardstown IRE Grade 1 5j. u.ä. 4200m / 2m5f 04.02. Hennessy Cognac Gold Cup Chase Leopardstown IRE Grade 1 5j. u.ä. 4800m / 3m 04.02. Spring Juvenile Hurdle Leopardstown IRE Grade 1 4j. 3200m / 2m 04.02. Denman Chase Newbury GB Grade 2 5j. u.ä. 4700m / 2m7½f 10.02. Game Spirit Chase Newbury GB Grade 2 5j. u.ä. 3400m / 2m1f 10.02. Ascot Chase Ascot GB Grade 1 5j. u.ä. 4200m / 2m5f 17.02. Arkle Challenge Trophy Cheltenham GB Grade 1 5j. u.ä. 3200m / 2m 13.03. Champion Hurdle Cheltenham GB Grade 1 4j. u.ä. 3300m / 2m½f 13.03. David Nicholson Mares' Hurdle Cheltenham GB Grade 2 4j. u.ä. Stuten 4100m / 2m4f 13.03. Supreme Novices' Hurdle Cheltenham GB Grade 1 4j. u.ä. 3300m / 2m½f 13.03. Ballymore Novices' Hurdle Cheltenham GB Grade 1 4j. u.ä. 4200m / 2m5f 14.03. Champion Bumper (National Hunt Flat Race) Cheltenham GB Grade 1 4j.-6j. Pferde 3300m / 2m½f 14.03. Queen Mother Champion Chase Cheltenham GB Grade 1 5j. u.ä. 3200m / 2m 14.03. RSA Chase Cheltenham GB Grade 1 5j. u.ä. 4900m / 3m½f 14.03. Ryanair Chase Cheltenham GB Grade 1 5j. u.ä. 4200m / 2m5f 15.03. World Hurdle Cheltenham GB Grade 1 4j. u.ä. 4800m / 3m 15.03. JLT Novices' Chase Cheltenham GB Grade 2 5j. u.ä. 4000m / 2m4f 15.03. Albert Bartlett Novices Hurdle Cheltenham GB Grade 1 4j. u.ä. 4800m / 3m 16.03. Cheltenham Gold Cup Cheltenham GB Grade 1 5j. u.ä. 5300m / 3m2½f 16.03. Triumph Hurdle Cheltenham GB Grade 1 4j. 3400m / 2m1f 16.03. Ryanair Gold Cup Fairyhouse IRE Grade 1 5j. u.ä. 4000m / 2m4f 01.04. Mares Novice Hurdle Championship Final Fairyhouse IRE Grade 1 4j. u.ä. Stuten 4000m / 2m4f 01.04. Irish Grand National Fairyhouse IRE Grade A Handicap 5j. u.ä. 5800m / 3m5f 02.04. Aintree Hurdle Aintree GB Grade 1 4j. u.ä. 4000m / 2m4f 12.04. Anniversary 4-Y-O Novices Hurdle Aintree GB Grade 1 4j. 3300m / 2m½f 12.04. Bowl Chase Aintree GB Grade 1 5j. u.ä. 5000m / 3m1f 12.04. Manifesto Novices' Chase Aintree GB Grade 1 5j. u.ä. 4000m / 2m4f 12.04. Melling Chase Aintree GB Grade 1 5j. u.ä. 4000m / 2m4f 13.04. Mildmay Novices Chase Aintree GB Grade 2 5j. u.ä. 5000m / 3m1f 13.04. Sefton Novices Hurdle Aintree GB Grade 1 4j. u.ä. 4900m / 3m½f 13.04. Top Novices Hurdle Aintree GB Grade 2 4j. u.ä. 3300m / 2m½f 13.04. Grand National Aintree GB Grade 3 6j. u.ä. 7200m / 4m4f 14.04. Liverpool Hurdle Aintree GB Grade 1 4j. u.ä. 4900m / 3m½f 14.04. Maghull Novices Chase Aintree GB Grade 1 5j. u.ä. 3200m / 2m 14.04. Mersey Novices Hurdle Aintree GB Grade 1 4j. u.ä. 4000m / 2m4f 14.04. 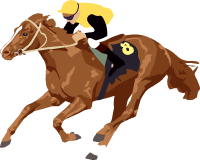 Scottish Grand National Ayr GB Grade 3 5j. u.ä. 6500m / 4m½f 21.04. Growise Champion Novice Chase Punchestown IRE Grade 1 5j. u.ä. 5000m / 3m1f 24.04. Boylesports.com Champion Chase Punchestown IRE Grade 1 5j. u.ä. 3200m / 2m 24.04. Evening Herald Champion Novice Hurdle Punchestown IRE Grade 1 5j. u.ä. 3200m / 2m 24.04. Punchestown Guinness Gold Cup Punchestown IRE Grade 1 5j. u.ä. 5000m / 3m1f 25.04. Paddy Power Champion INH Flat Race Punchestown IRE Grade 1 4j.-7j. Pferde 3200m / 2m 25.04. Irish Daily Mirror War Of Attrition Novice Hurdle Punchestown IRE Grade 1 5j. u.ä. 4800m / 3m 25.04. Ladbrokes.com World Series Hurdle Punchestown IRE Grade 1 4j. u.ä. 4800m / 3m 26.04. Ryanair Novice Chase Punchestown IRE Grade 1 5j. u.ä. 3200m / 2m 26.04. Rabobank Champion Hurdle Punchestown IRE Grade 1 5j. u.ä. 3200m / 2m 27.04. Tattersalls Ireland Champion Novice Hurdle Punchestown IRE Grade 1 5j. u.ä. 4000m / 2m4f 27.04. Champion 4-Y-O Hurdle Punchestown IRE Grade 1 4j. 3200m / 2m 28.04. Celebration Chase Sandown GB Grade 1 5j. u.ä. 3200m / 2m 28.04. Irish Stallion Farms European Breeders Fund Mares Champion Hurdle Punchestown IRE Grade 1 4j. u.ä. Stuten 3600m / 2m2f 28.04. Prix Alain du Breil Auteuil FR Grade 1 4j. 3900m / 2m3½f 19.05. Grand Steeple-Chase de Paris Auteuil FR Grade 1 5j. u.ä. 5800m / 3m5f 20.05. Gras Savoye Cinema Prix Ferdinand Dufaure Auteuil FR Grade 1 4j. 4100m / 2m4½f 20.05. Grande Course de Haies d'Auteuil Auteuil FR Grade 1 5j. u.ä. 5100m / 3m1½f 20.06. Old Roan Chase Aintree GB Grade 2 4j. u.ä. 4000m / 2m4f 28.10. Grand Prix d'Automne Auteuil FR Grade 1 5j. u.ä. 4800m / 3m 03.11. Prix Maurice Gillois Grand Steeple-Chase 4 Auteuil FR Grade 1 4j. 4400m / 2m6f 04.11. Racing Post Prix Cambaceres (Hurdle) Auteuil FR Grade 1 3j. 3600m / 2m2f 04.11. Paddy Power Gold Cup Chase Cheltenham GB Grade 3 4j. u.ä. 4100m / 2m4½f 17.11. Betfair Chase Haydock GB Grade 1 5j. u.ä. 4800m / 3m 24.11. Long Distance Hurdle Newbury GB Grade 2 4j. u.ä. 3m½f / 4900m 30.11. Fighting Fifth Hurdle Newcastle GB Grade 1 4j. u.ä. 3200m / 2m 01.12. Drinmore Novice Chase Fairyhouse IRE Grade 1 5j. u.ä. 4000m / 2m4f 02.12. Hattons Grace Hurdle Fairyhouse IRE Grade 1 4j. u.ä. 4000m / 2m4f 02.12. Royal Bond Novice Hurdle Fairyhouse IRE Grade 1 4j. u.ä. 3200m / 2m 02.12. Tingle Creek Chase Sandown GB Grade 1 5j. u.ä. 3100m / 1m7½f 08.12. Markel Insurance Henry VIII Novices' Chase Sandown GB Grade 1 4j. u.ä. 3200m / 2m 08.12. Peterborough Chase Huntingdon GB Grade 2 4j. u.ä. 4100m / 2m4½f 09.12. John Durkan Memorial Punchestown IRE Grade 1 5j. u.ä. 4000m / 2m4f 09.12.
boylesports.com International (Hurdle) Cheltenham GB Grade 2 4j. u.ä. 3400m / 2m1f 15.12. Long Walk Hurdle Ascot GB Grade 1 4j. u.ä. 5000m / 3m1f 22.12. Christmas Hurdle Kempton GB Grade 1 4j. u.ä. 3200m / 2m 26.12. Kauto Star Novices Chase Kempton GB Grade 1 4j. u.ä. 4800m / 3m 26.12. King George VI Chase Kempton GB Grade 1 4j. u.ä. 4800m / 3m 26.12. Inforthenight.ie Juvenile Hurdle Leopardstown IRE Grade 2 3j. 3200m / 2m 26.12. Bord na Mona with Nature Novice Chase Leopardstown IRE Grade 1 4j. u.ä. 3400m / 2m1f 26.12. Desert Orchid Chase Kempton GB Grade 2 4j. u.ä. 3200m / 2m 27.12. Finale Juvenile Hurdle Chepstow GB Grade 1 3j. 3300m / 2m½f 27.12. Dial-A-Bet Chase Leopardstown IRE Grade 1 5j. u.ä. 3400m / 2m1f 27.12. Future Champions Novice Hurdle Leopardstown IRE Grade 1 4j. u.ä. 3200m / 2m 27.12. Lexus Chase Leopardstown IRE Grade 1 5j. u.ä. 4800m / 3m 28.12.
woodiesdiy.com Christmas Hurdle Leopardstown IRE Grade 1 4j. u.ä. 4800m / 3m 28.12. Challow Novices Hurdle Newbury GB Grade 1 4j. u.ä. 4200m / 2m5f 29.12. December Festival Hurdle Leopardstown IRE Grade 1 4j. u.ä. 3200m / 2m 29.12. Topaz Novice Chase Leopardstown IRE Grade 1 4j. u.ä. 4800m / 3m 29.12.